College Works Painting is a professional house painting company pleased to offer homeowners in Utah an unmatched customer satisfaction rating of 97%. Since 2001, our painting company in Utah displays its top rate workmanship on homes in numerous neighborhoods each day. We carry full workers compensation and liability insurance on all our jobs. Our trained managers within the Salt Lake Valley are eager to provide free paint job estimates in neighborhoods from spanning from Ogden to Provo. Prompt Professional Service: When an appointment is scheduled we will be there at the agreed upon time. Get the professional work and service you can count on. Quality Craftsmanship: The goal of our painters is to complete each exterior painting project with top quality work to satisfy the customer. Premium Paint Usage: Although our costs are at a fair price, we do not scam or leave you with a low quality paint job. We only use the highest quality paints for our house painting jobs. 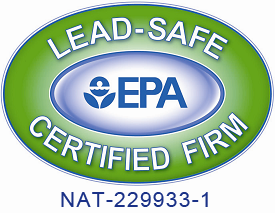 Enviromentally-Friendly Paints: The company is up to date as a green painting company as we are a Lead-Safe EPA Certified company. FREE Painting Estimates: The company will provide homeowners with a free estimate at an affordable rate. College Works Painting Utah is proud to have been offering home painting services and offering "internship opportunities" in the Beehive State by hiring college students from the best universities each year as interns, managers, and branch managers. At College Works Painting Utah we know how important it is to have superior service as a homeowner. We also understand how frustrating it can be to need quality work experience as a college student. Let College Works Painting help you with your home improvement and/or internship needs. "From the College Works Painting internship I learned the value of leadership and empowerment and I heartily endorse the College Works Painting internship to any individual who is looking to challenge themselves and not settle for mediocrity, both for a summer and in life."